Forget a pool or a BBQ area on your deck. 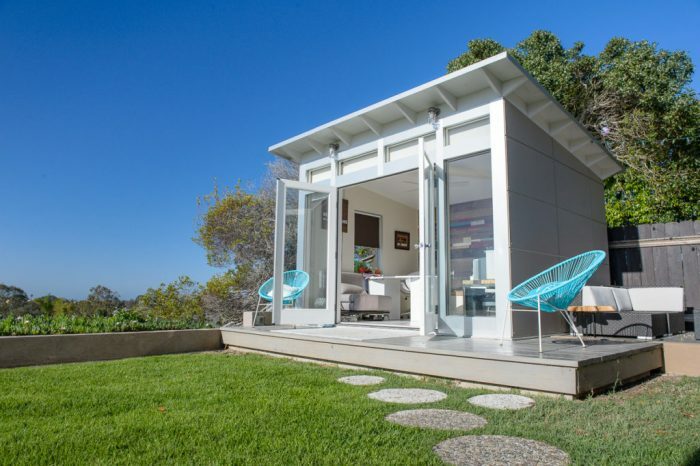 Something else is trending this year as a must-have backyard amenity, and that's sheds. Yes...you read that right. These aren't your typical sheds where you store junk or your gardening tools. They are luxurious, multi-purpose living spaces that just happen to be detached from the rest of your home. The reason for their rise in popularity? Privacy, for one. There's no one—and no surrounding noises from your disruptive family or neighbors—to make you lose your focus. It's all you, the shed and whatever your No. 1 priority is for the day. Not to mention, if you have a lush and peaceful backyard, the view is a plus. 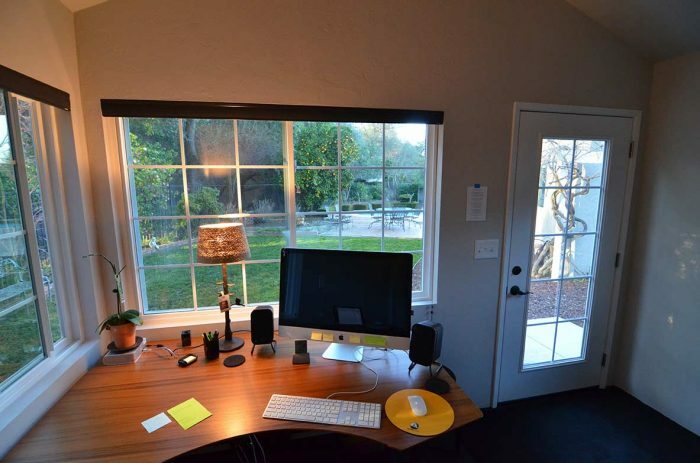 For those looking to get some work done with no distractions and no access to the kitchen, where you'll munch the day away, a luxury shed can be the perfect place to set up an office. 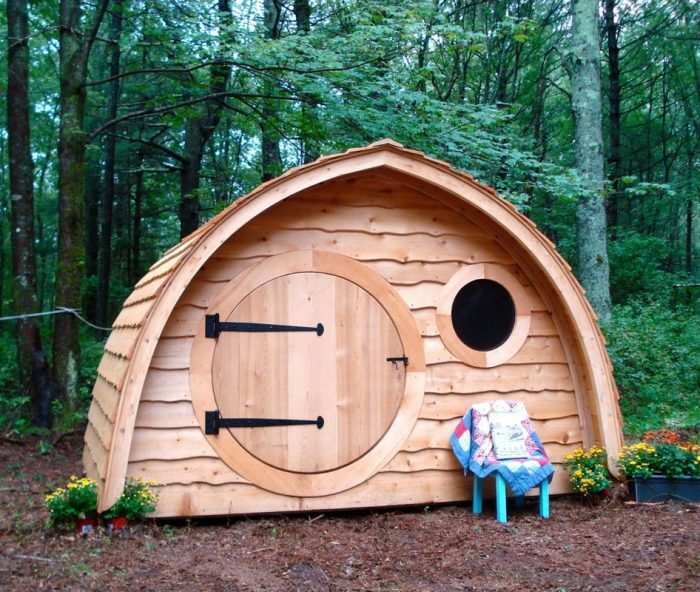 Or, they can even be a great play space for your kids—especially those with quirky designs like the hobbit hole sheds. Whatever the need is, a backyard shed is this year's answer. How much do they cost? Well, that varies depending on how large or complex you want your shed to be. According to StudioShed, a manufacturer of modern sheds, single-room studios can start around $9,600, while larger spaces, such as for guest rooms, can run around $25,000. For those who are looking for more intricate designs like the hobbit hole, that typically involves hiring an architect and that could cause the price to skyrocket—unless you're handy and can design and build it yourself. I think the consensus is correct. It’s a charming idea to add a detached space but Washington municipalities are totally against it. You wont’ get a permit and if you build something without a permit you’ll have to tear it down or they will fine you 500 dollars per day (NO JOKE) and there is nothing you can do about it legally, no attorney will win the case. I bought an old home w/out a garage and after 3 years working with the city I finally conceded that I’ll never have one. I renovated the house from 1920’s and it’s gorgeous but has all the idiosyncrasies that charming old houses have. I’m now planning to tear it down and build new because it’s easier than going through the headaches with the city and neighbors and you’ll end up with DOUBLE the value. What’s crazy is now the neighbors are going to have blocked views from my 30′ tall giant NW cube house and as I pull into my own private alley into my garage 5′ from their fence they’ll wonder why they had issue with my planned 10′ garage?